Two chefs must get creative when handed skinless potatoes to make potato skins. 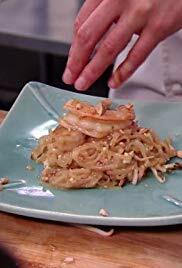 Then a chef must harvest all their water from coconuts to make pad Thai. Finally, a surprise party sends a chef hunting for a gift to complete a cake.